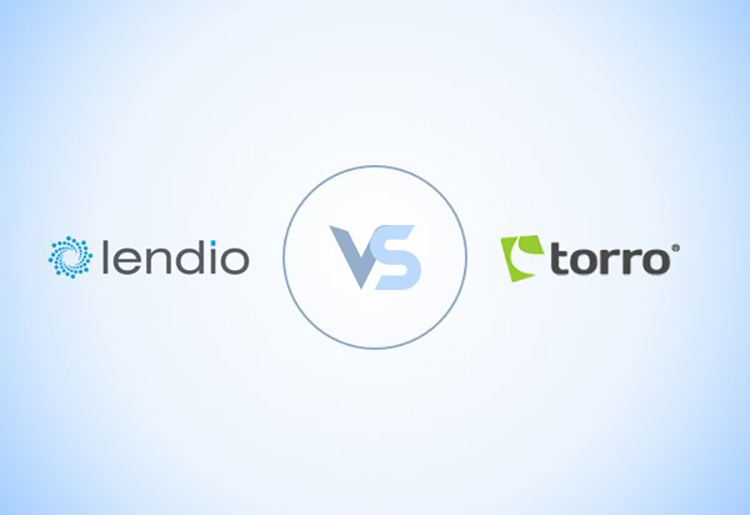 We compare Lendio and Torro to see which comes out on top when considering features, application process, loan terms, eligibility and more. Small business loans aren’t always easy to come by, which is why a new industry is emerging within the financial world. SMB loan providers and aggregators are rising to the needs of small to medium businesses that require varying levels of financial assistance. Some of these establishments are real godsends for these businesses, but it is important to know which ones are reliable and which ones aren’t worth the application process. Lendio and Torro are two excellent options for business loans. Since they’re newer to the industry, it can be difficult to find a lot of information about these two rivaling lenders. Here are some of the important highlights about both Lendio and Torro, as well as a head-to-head comparison of the two rising opportunities in business financing. Lendio is a lending portal that offers no less than ten different types of business loans including line of credit, merchant cash advances, and ACH cash flow loans. With a wide range of options, fluid lending terms, and up to $2 million depending on the type of loan, Lendio is a good address for many of your business financing needs. With an A+ from the Better Business Bureau and a 4-star rating with Trustpilot, Torro already has a good reputation preceding them in the financial industry. A small, but well-relied upon online lending marketplace, Torro has quietly and successfully managed to lend hundreds of millions of dollars since just 2012. The company offers a lot of options for small businesses including startup capital, which makes them an ideal candidate for helping businesses procure loans whether they’re looking to expand their businesses, for working capital, or even to buy an existing business. As online lending marketplaces, both Lendio and Torro have incredibly fast and streamlined application processes that can be done completely online. Since this is the area where you’ll be putting in all your work, let’s look at each one closely. Lendio makes it their personal goal to help small and medium businesses get the type of business loans that they can work with as quickly and as easily as possible. The first way they do this is by connecting applicants to a wide network of lenders for maximum lending opportunities. Lendio has more than 3,000 potential lenders in their network, so there is bound to be a good match for any business need. Because their lending platform is so extensive, Lendio is able to facilitate specific lenders that cater to each type of business loan including AR/PO factoring loans, equipment leasing, and even business credit cards. They also have lenders that invest in unique types of loans such as startups or women in business. The second way Lendio facilitates easier loan processing is by providing a smooth and easy to work with application process. The application form is faster because it is online and cuts out the back and forth by asking the pertinent information directly and the first time around. You can start the process by just entering the loan amount you’re looking for. From here, you’re already given a list of choices that are suitable for your needs. After that, you can fill in more details to get more precise results. Loan approval ranges from two days to two weeks depending on how easy it is to verify your business information. What’s really interesting about Lendio is that you are assigned a personal account manager as soon as you start filling out your application. This is a nice touch that offers borrowers with little or no experience in the lending world the much-needed assistance in sorting out the finer details of their loans. Torro has much of the same service guarantee as Lendio, providing a fast online application that connects you with thousands of potential lenders in an instance. They don’t offer the same personal account management service, but some Lendio members have admitted that this wasn’t much of a benefit, so Torro clients are happy to do without it. What is unusual about Torro is the range of lenders that they connect borrowers with. In addition to the more traditional lenders within their network, Torro also works together with private investors and independent brokerages, so borrowers have the best odds of getting the terms and loans they want for less. This small difference allows them to pull ahead of Lendio in this category. Loan terms for both lenders aren’t carved in stone because the actual terms vary based on lender, amount of loan you’re taking out, length of repayment plan, and your own credit report. However, among its mix, Lendio has some of the best loan terms available in the industry, and while Torro has good terms, they don’t hold up to the competition. Lendio offers customers repayment plans from one month for business credit cards all the way up to 25 years for their commercial real estate loans. The shorter repayment plans are convenient for businesses that are just taking out a small amount to cover some basic expenses like excess merchandise during the busy season or unexpected payroll expense. In this way, small businesses can cover their costs and then repay the loan quickly with minimal interest payments and headache. Lendio’s APRs range from 0%-30% depending on the type of loan and other factors. And, amounts range from as little as $100 up to $2 million. That’s the most of any lender in the industry. Torro has good terms, but not as good as Lendio. They offer loans from $5,000-$750,00, with APRs that they guarantee will not exceed 36%. Some businesses can receive their funds in as little as 48 hours, which is a nice touch. Torro and Lendio are both great choices for businesses that don’t have a lot to show for themselves. Lendio requires no minimum credit score, offers an amazing range of loan terms, and relatively low in-business requirements. Depending on the verification process, Lendio may also ask for bank and mortgage statements. Always trying to be a helpful resource to borrowers, Lendio also has a list of businesses that will have a harder time getting a loan than others. Some industries on this list include fishing and forestry, legal services, and commercial real estate. Torro also has pretty flexible eligibility policies, though arguably not as lax as Lendio. While they claim on their website to require no collateral, tax returns, or credit references, this is not always the case. Since both Lendio and Torro are lending marketplaces, none of the fees and rates are actually linked to them. Instead, these figures will be determined and set solely by the lender that you decide to go with for your business loan. All rates, fees, charges, and penalties will be set forth within the contract and need to be carefully considered before signing any loan agreements. Customer service is an important part of the lending process, so you want a lending marketplace that will help you through the experience. Lendio has good support over the phone and through the site’s online email form or via social media links like Facebook, Twitter, Google+, and LinkedIn. They even have a blog and FAQ section in case you want to go it on your own. However, something that Torro is famously known for is how wonderfully comfortable their whole process is, due in no small part to their customer service. In addition to the same phone, email, and social media services, Torro also provides live chat, something that no online business should be without. This service allows customers the availability to ask questions and receive answers instantly via a comfortable and easy format. Torro even has excellent customer reviews online singing the praises of the customer service and overall experience, something that is hard to come by in the financial industry of today. Lendio offers ten different types of business loans, making it easier to find a lender who's willing to work with your needs, works with companies that have been in business for as little as 3 months, an A+ BBB rating, and has been featured in Forbes, CNBC, and Entrepreneur. Something else that is unique about Lendio is the fact that you can take out different loans for different purposes from different lenders simultaneously. Torro should not be discredited, though. With this service, businesses can gain approval without any prior business experience or lengthy financial history, a real boon for startups or small businesses that don’t have those kinds of records to back them up. Torro even has a dedicated section within their business loans offerings for idea-based ventures. These loans are specifically geared towards businesses that have little or no financial structures in place, only the vaguest future projections, and little expense and return expectations. For more flexible eligibility terms and better loan terms, Lendio wins out. Find out more about these top notch loans and lending marketplaces today.